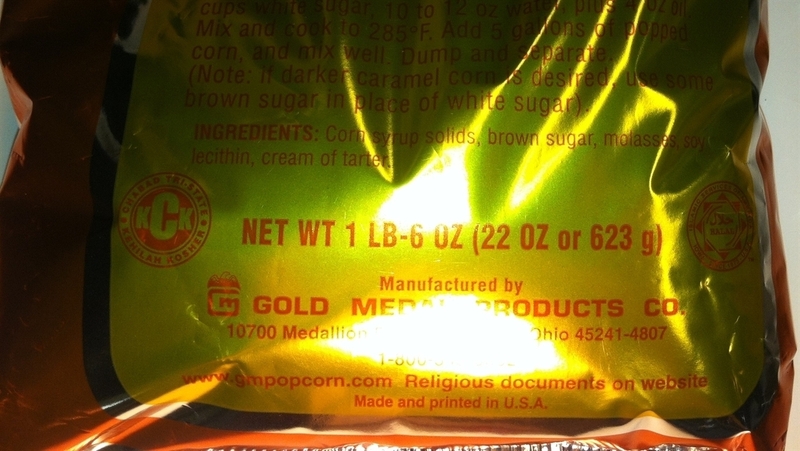 Used worlwide - Gold Medal's Concentrated Caramel Corn Treat Mix makes the best Caramel Corn on earth! You can even use Brown Sugar instead of the white called for in the recipe, to make a darker, richer caramel if desired. And to really go over the top, Butter can be used as the oil. But only add at the end of the cook cycle or it might burn. For the best coverage, we recommend a mushroom type corn for less breakage, and wet-popped (not air-popped)within the past few hours. A Naks-Pop Coconut Oil Bar (Barr) or Naks Pop2 oil pouch (GM2638)is a convenient way to get the required 4oz. of oil. Put contents of bag in cooker, add 4 cups white sugar, 10-12 oz. water, plus 4 oz. oil. 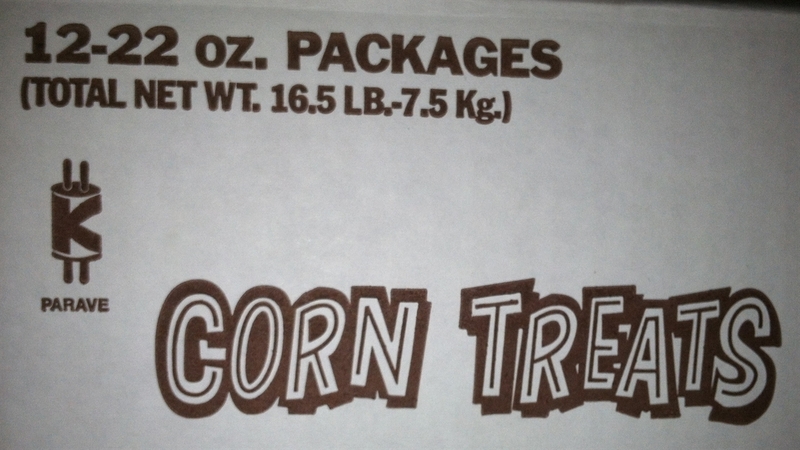 Mix and cook to 285° F. Add 5 gallons of popped corn, and mix well. Spray with Free-N-Easy to prevent clumping. Dump and separate. 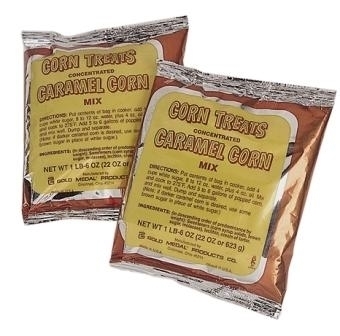 Ingredients: Corn syrup solids, brown sugar, molasses, soy lecithin, cream of tarter. Store at < 110°F in a clean, dry, and odor-free environment. Best if used within 18 months from the date of manufacture in unopened containers. 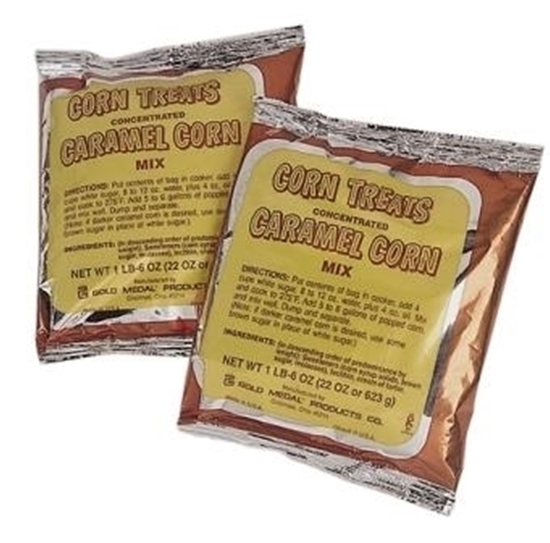 Kernel Seasons KS Caramel Flavor 3 oz. 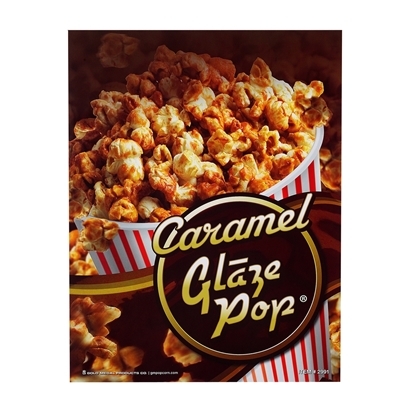 Ingredients: Sugar, Brown Sugar, Natural Flavor, Caramel Color, and not more than 2% Silicon Dioxide, Tricalcium Phosphate and Soybean Oil added to prevent caking.